An increasing number of single women are choosing to have their eggs frozen to increase the potential success rates of fertility treatments they may be having at a later age. IVF is more likely to be successful with younger eggs, which are of better quality with fewer anomalies. But, most of these women make the decision to freeze their eggs when it may already be too late in their late thirties. A study team, headed by Aylin Pelin Cil from Reproductive Medicine Associated in New York, took a closer look at 26 previously conducted studies. These studies, all on the subject of egg freezing, concluded that fertility treatments were more likely to succeed with eggs frozen before a woman reached age 30. Now, few women would consider egg freezing at that age for obvious reasons, but the research team essentially suggested exactly that. Freezing eggs for later on is a sound investment only if it's done on time. Statistically, the odds of frozen eggs implanting and creating a pregnancy was a little over 10 percent if the egg came from a woman under 30. At 40 or older, those odds dropped to 4.1 percent. Still, what woman thinks about the possibility of freezing her eggs just in case she needs them for IVF later, when she is not even 30 yet? Fertility doctors from both sides of the Atlantic have been commenting on this new study in various newspapers. One pointed out that 39 year old eggs are still likely to do better than 42 year old eggs in IVF cycles, and that women who engage in egg freezing usually faced relationship disappointment first. They were in the same relationship for many years, and expected their partner to want children at some point. 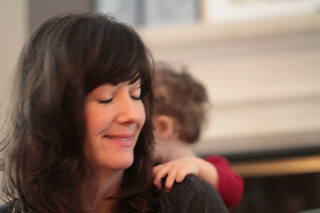 When these women got a little older, their partner turned out not to want to became a dad yet.